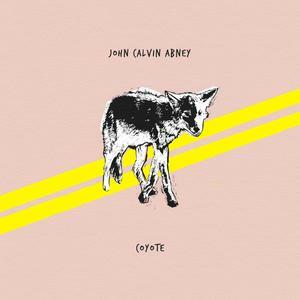 John Calvin Abney’s new album Coyote is a diverse offering of densely literate musicianship and catchy lyricism with a thoughtful approach—blending the bygone era with a healthy dash of modernity. Abney, who comes further into his own as the mature melodic composer we glimpsed in 2016’s Far Cries and Close Calls, takes a barge down narrow straits using finely-painted imagery and considerate verse. With the keen musicality of swelling melodies superbly supported by keys, steel, harp, and violin, Abney has created a pensive masterwork of subtlety punctuated by concussive blasts of humanity. The album’s defining moments come in tidal waves throughout as Abney courageously navigates the deep emotions born from life’s casualties. “Always Enough”strikes the record’s diamond vein with the words, “Ashes to ashes, Promises to dust,” while suggesting a moment later “We were always enough.” This theme of faltering resolution carries us through a record filled with love and loss, gains and remorse, transported by the precarious, half-saddled horse of subjective–yet skillful–storytelling. “Sundowner,” a waltz riddled with an air of melancholy and regret, finds light in the hopeful voice of our narrator; “Folks say their worst when they’re beaten and bled,” he sings into the sun-washed desert landscape before wiping the canvas clean to declare “I’d kill all these miles for you,” a line that basks in the radiance of its Neil Young-esque glory. The albums longest track, “Souvenir Waltz,” is a cautious, meandering self-examination akin to the modern indie-folk heroes amongst whom Abney should soon be counted—he plays close to the vest like Gregory Alan Isakov as he wields the steely, assured resolve of M. Ward. Coyote speaks to the broken and well-adjusted alike, stating with no uncertainty that they are one and the same. The experience of realignment follows the pain of parting ways and serves as a reminder that our greatest asset is the human ability to cope.